1. Pour the apple juice into a food processor. 2. Add the cinnamon and ginger and process gently until combined. 3. Add the bananas and process until smooth. 4. Pour the mixture into glasses and decorate with chunks of fresh apple. 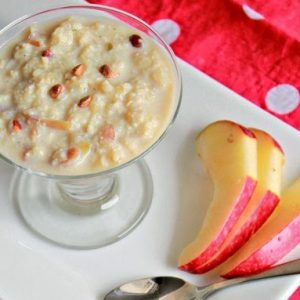 Feel free to comment or share your thoughts on this Banana and Apple Booster Recipe from Awesome Cuisine.